Larry G. Raff, President, Copley Raff Inc.
Larry is president and principal of Copley Raff, Inc., a national management and fundraising consulting firm that specializes in raising the sights of nonprofit organizations and helping them to meet aspirational goals. He is also a principal with Rising Tide Direct LLC, a direct mail and marketing firm that stresses the use of direct marketing channels to maximize net revenue and to identify and move contributors into the major donor pipeline. Larry has held leadership advancement positions and consulting engagements for more than 30 years. He and his firm have served hundreds of organizations of all sizes and reach from every nonprofit sector, and have earned a reputation for achieving client objectives through both creative and rigorous application of proven advancement practices. 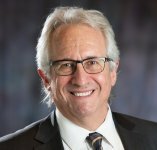 The thought leadership Larry provides includes his GivingTake blog which has been publishing bi-weekly for more than five years and has an international following; serving as past President of The Friday Forum, a thought leadership group of senior development professionals in the Boston area; and, regularly providing high-level training presentations and publishing articles in Becker's Hospital Review, Fundraising Success Magazine and Board Source. Larry is a co-founder of the highly acclaimed Philanthropy Leadership Advancement Nexus, a Master Gift Officer Event. Now entering its seventh year, PLAN-MGO is an immersive, four-day training program that transforms advancement professionals and volunteers into Master Gift Officers by reengineering the nature and process of their relationships with donors, goals, asks, and stewardship. 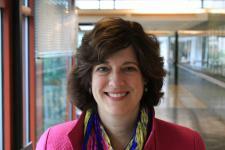 Katelyn Quynn is Chief Development Officer and Vice President, Board Relations at Hebrew SeniorLife, a Harvard-affiliated organization that focuses on senior healthcare, communities, teaching/education and research. Previously, she was Deputy Chief Development Officer for the Massachusetts General Hospital in Boston, Massachusetts, where she worked for 19 years and helped close its successful $1.5B campaign. Katelyn co-authored Planned Giving: A Guide to Fund Raising and Philanthropy, which won awards from AFP and CASE, and co-authored three other books: Invest in Charity, A Donor’s Guide to Charitable Giving; Planned Giving for the Small Nonprofit; and Planned Giving Workbook. She is a former board member of the National Committee on Planned Giving (now Partnership for Philanthropic Planning), and a past president of the Planned Giving Group of New England. Katelyn provided testimony to the US Congress helping to secure passage of the Philanthropy Protection Act of 1995 and was named Planned Giving Professional of the Year by Planned Giving Today. She is a graduate of Tufts University and earned a J.D. from the Boston University School of Law.